The Best CBM movie of 2017 The film is one of the most entertaining of the MCU films so far and a HUGE improvement over Thor: The Dark World. 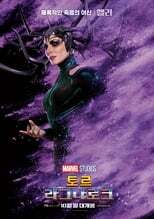 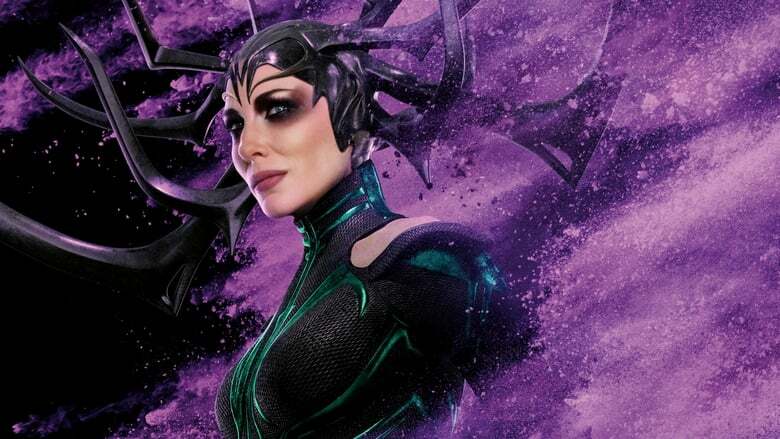 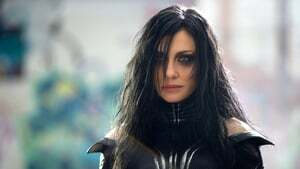 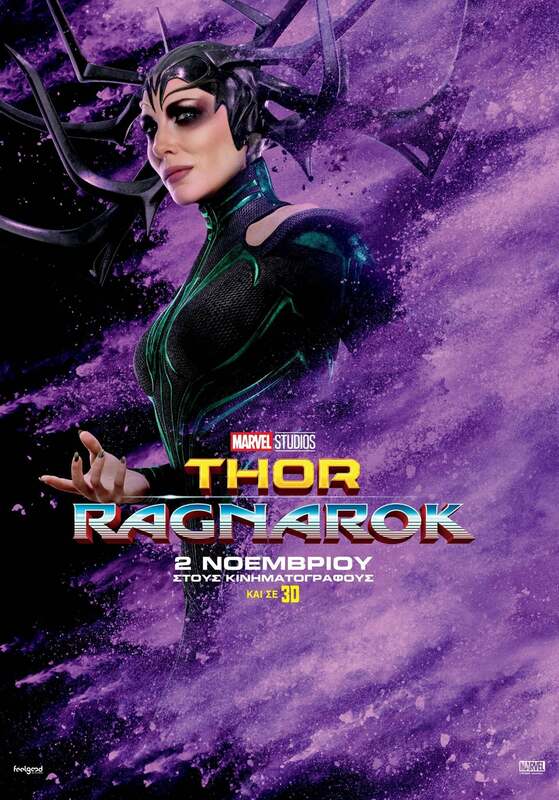 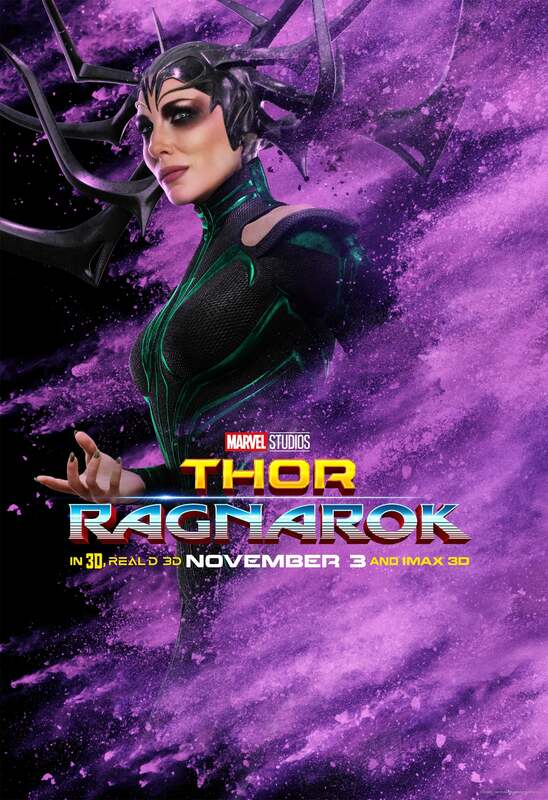 Cate Blanchett as the villainess Hela, the Goddess of Death, is a far better villain that TDW's lame Malekith. Kat Dennings' annoying Darcy and Natalie Portman's bland Jane are not missed at all. 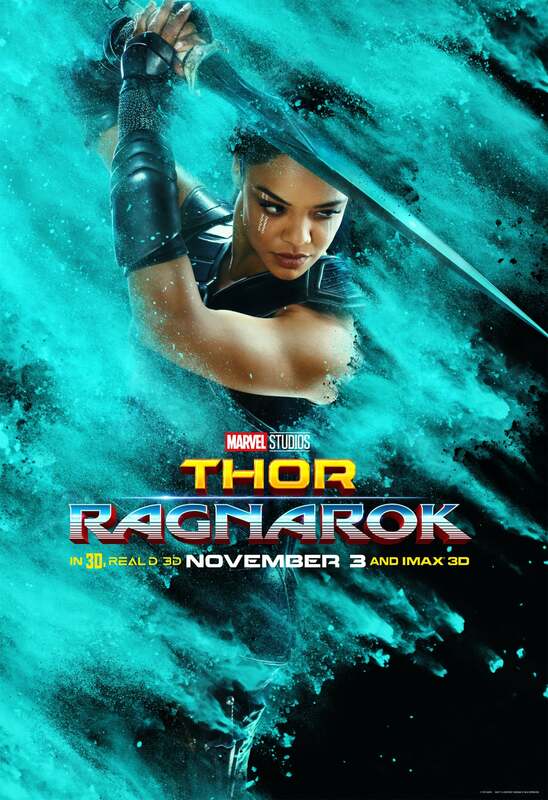 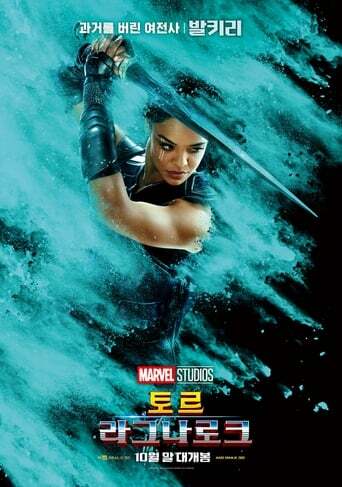 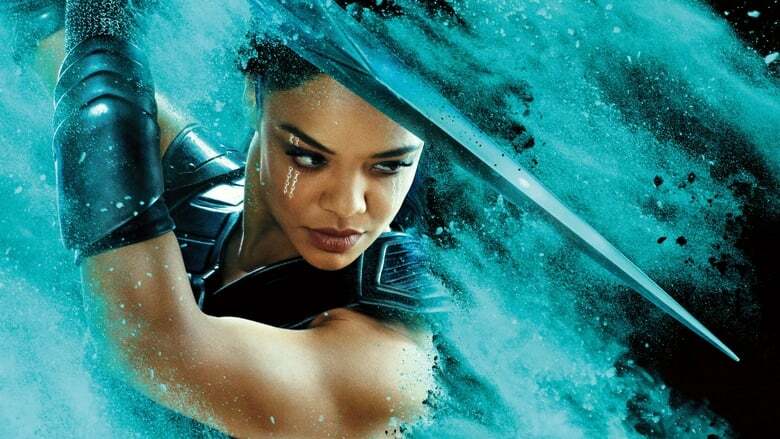 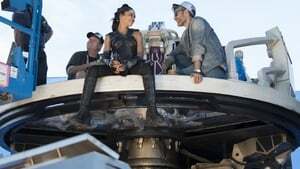 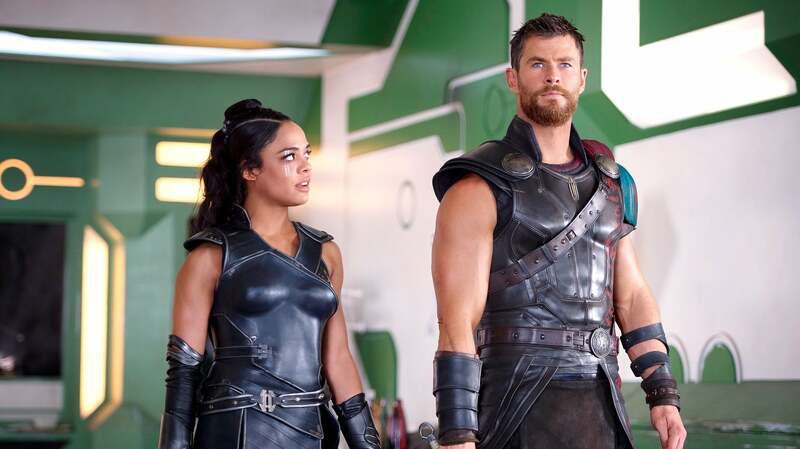 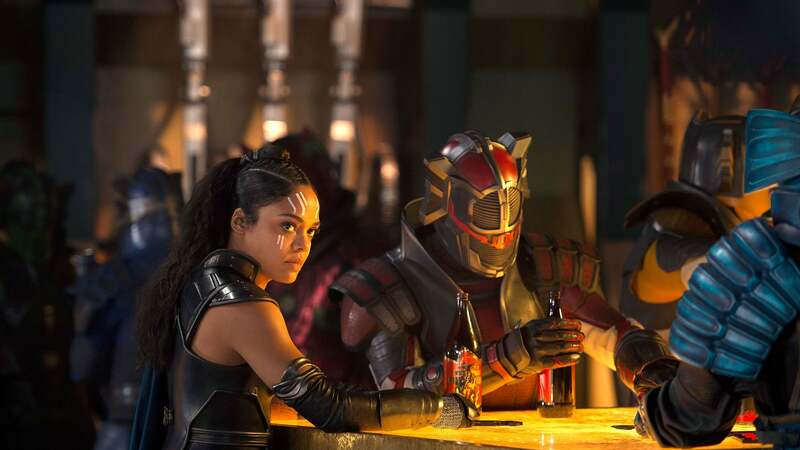 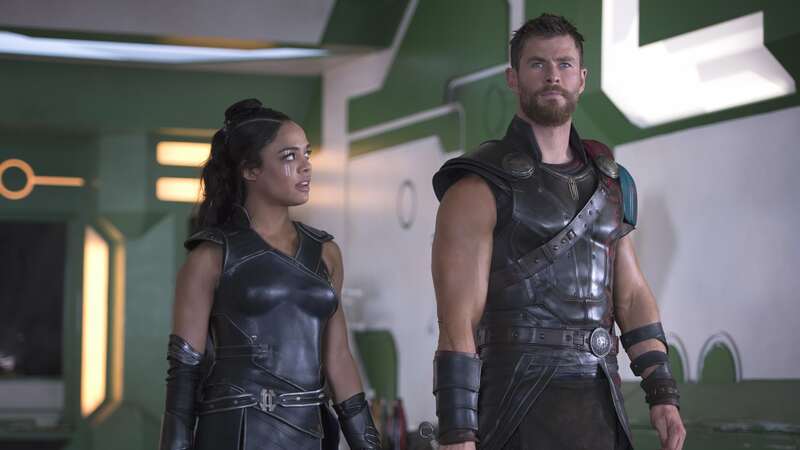 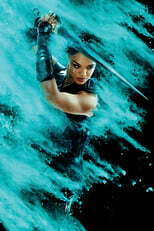 Instead, we get Tessa Thompson's badass Valkyrie, who can hold her own in a fight and isn't just there just as a love interest for Thor (Chris Hemsworth). 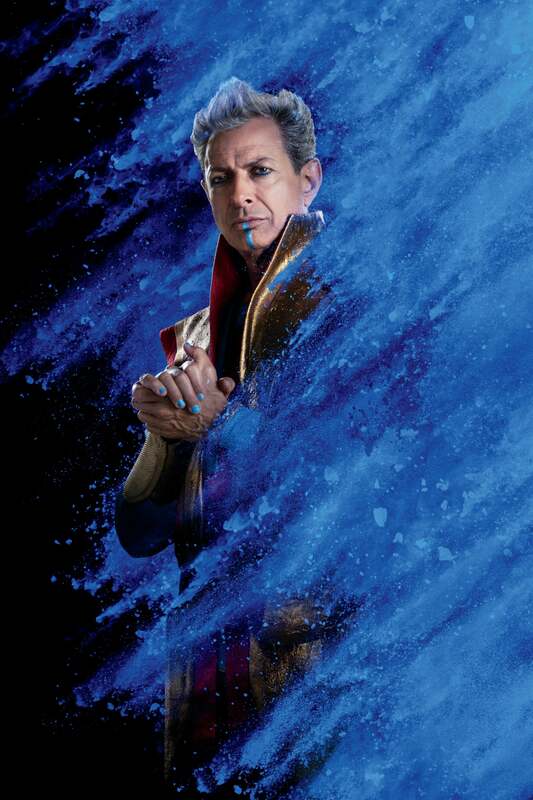 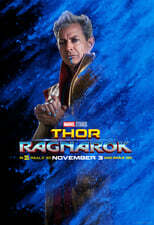 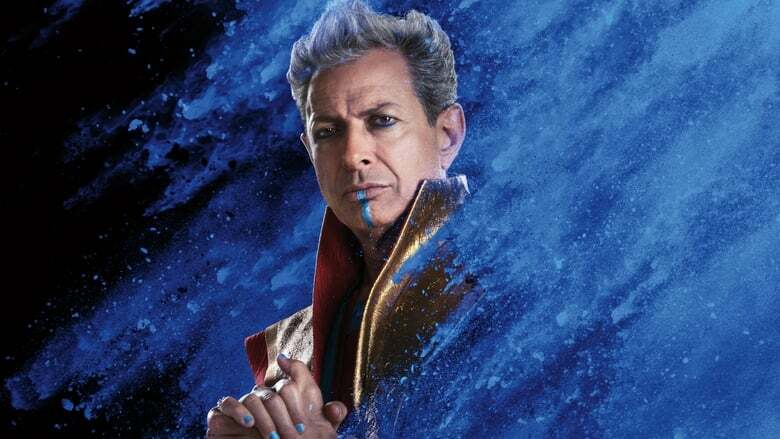 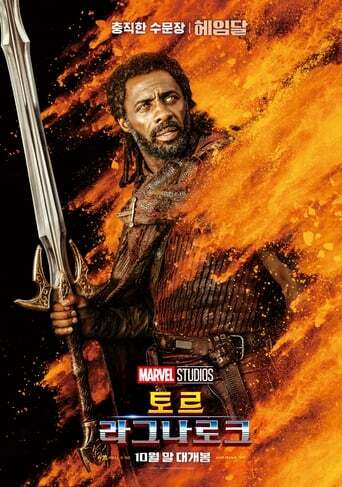 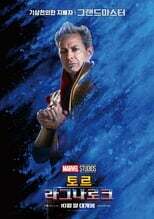 Jeff Goldblum is hilarious as Grandmaster, who runs the gladiator fights on the planet Sakaar. 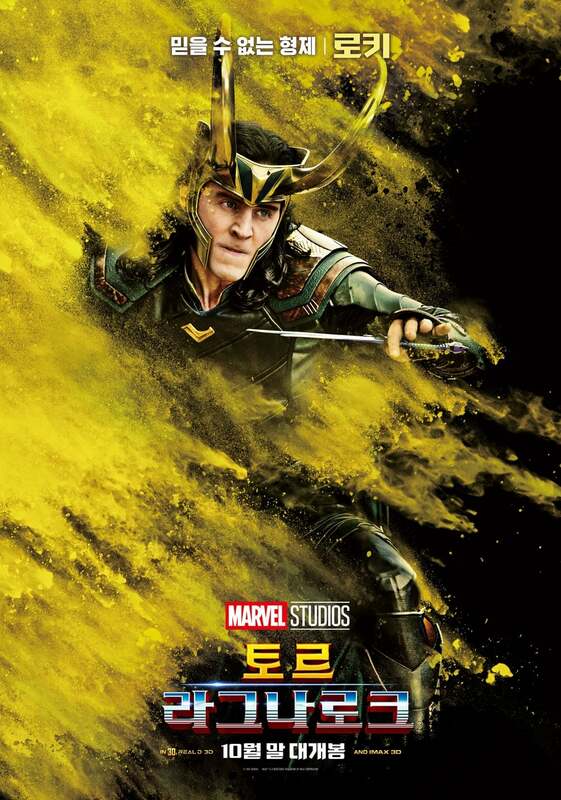 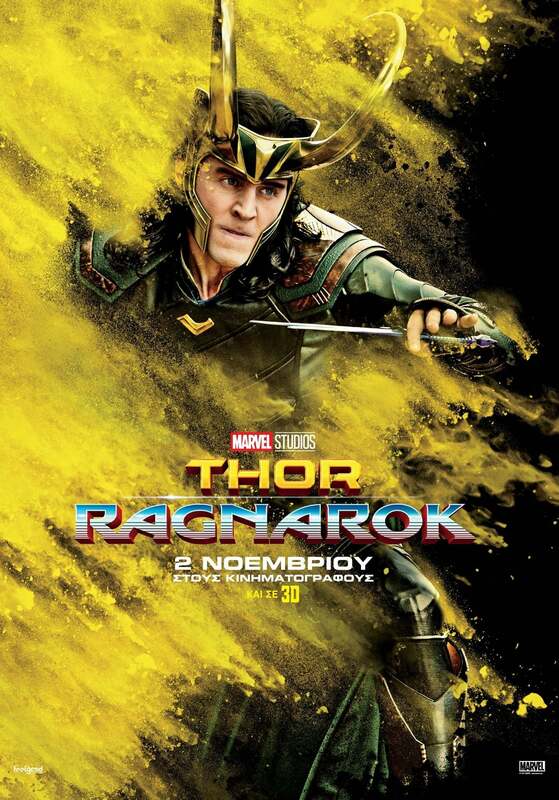 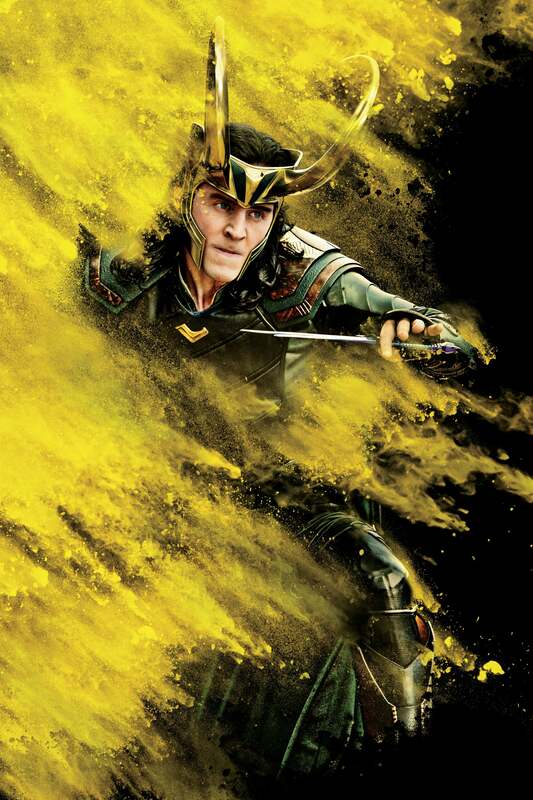 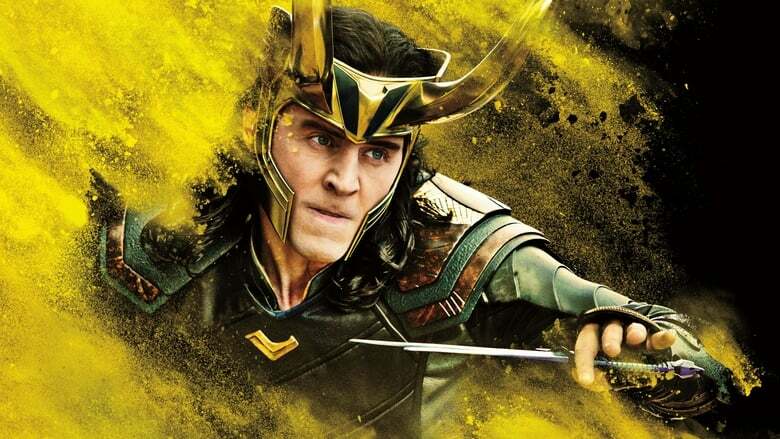 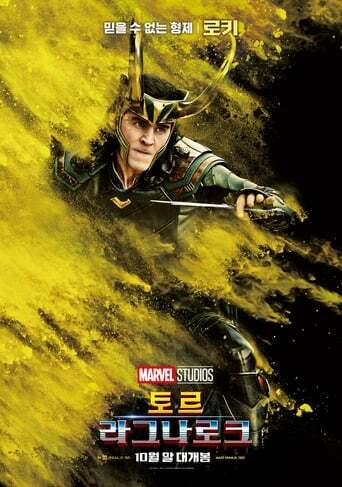 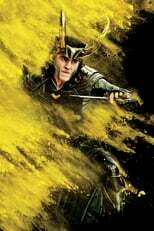 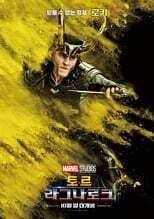 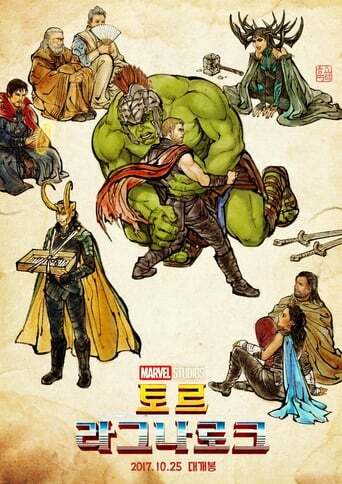 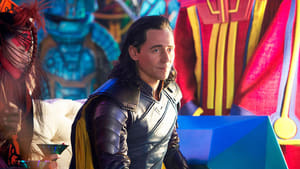 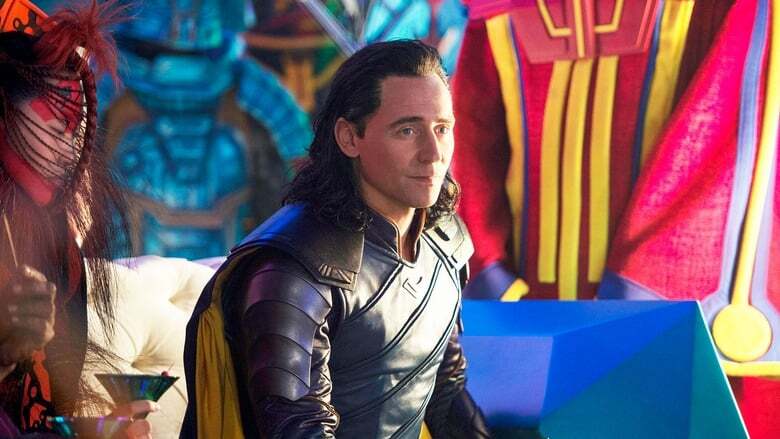 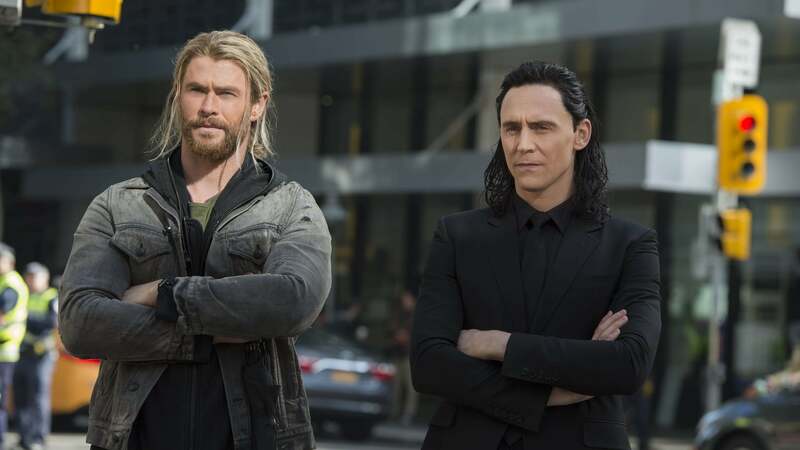 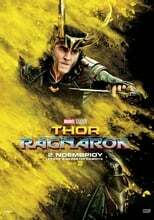 But the real pleasure of the movie is watching the love-hate brother relationship between Thor and his adoptive brother, Loki (Tom Hiddleston). The relationship between the two men was the only redeeming feature of TDW, and it's great to see it expanded in this movie. 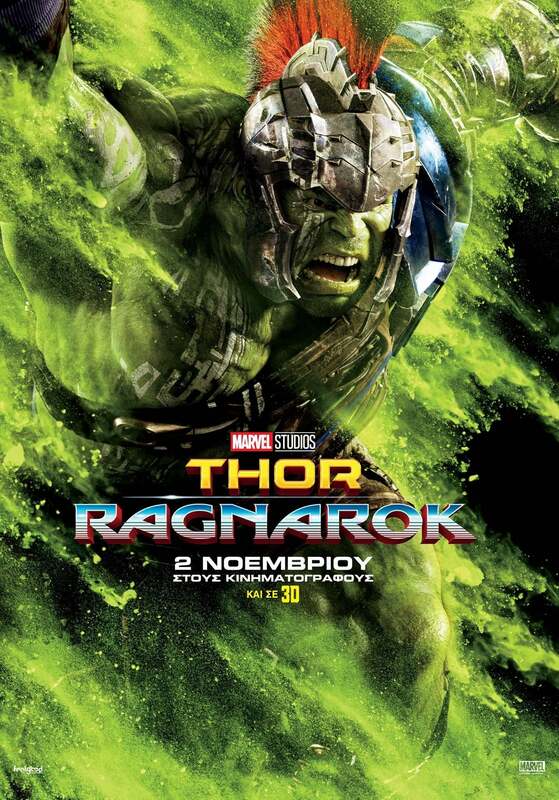 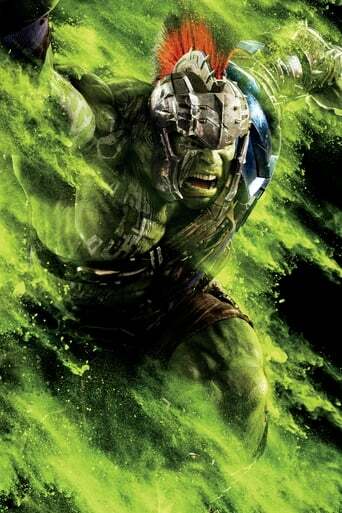 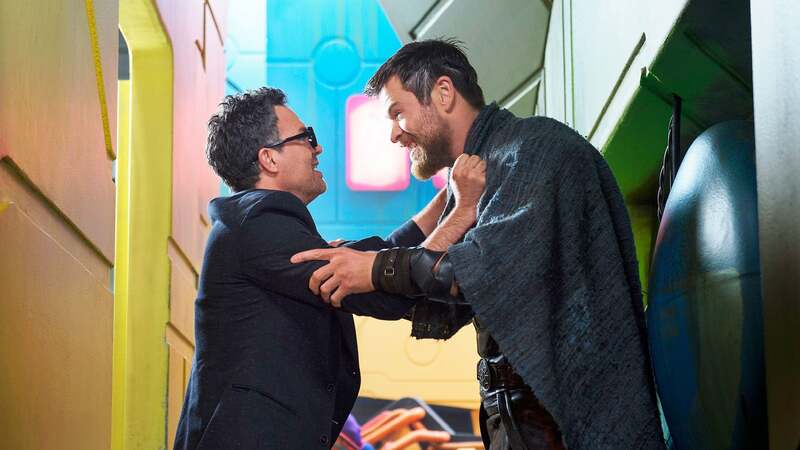 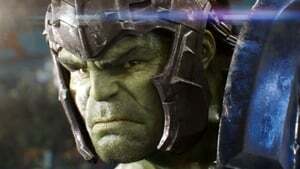 Also great is seeing Thor buddy up with Bruce Banner/ Hulk (Mark Ruffalo). 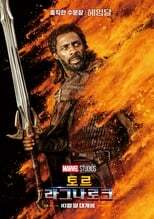 The only thing I didn't like about the movie was the fate of The Warriors Three. They deserved better than that. But otherwise, it's a great comic book movie. 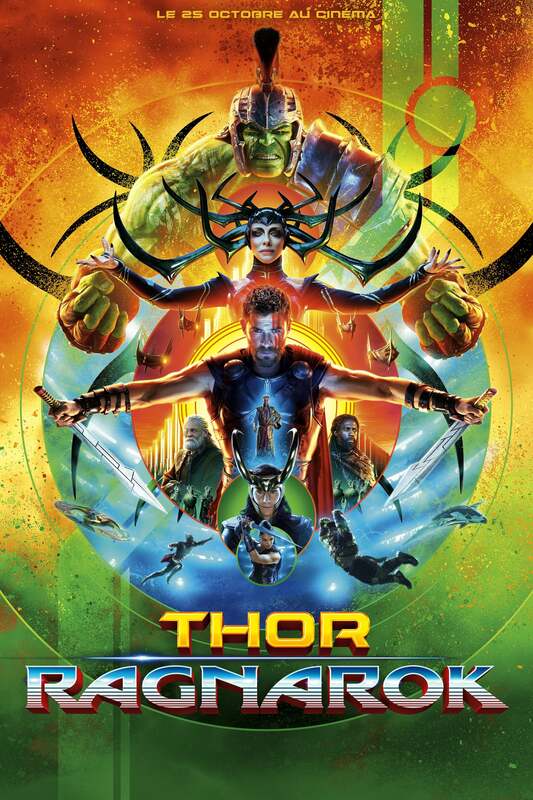 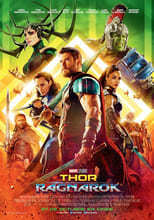 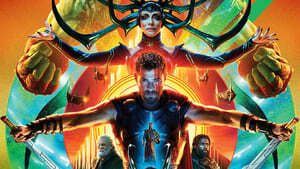 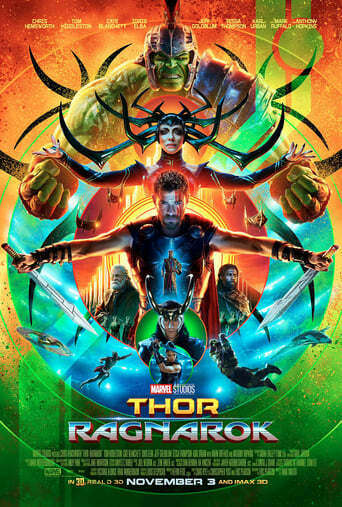 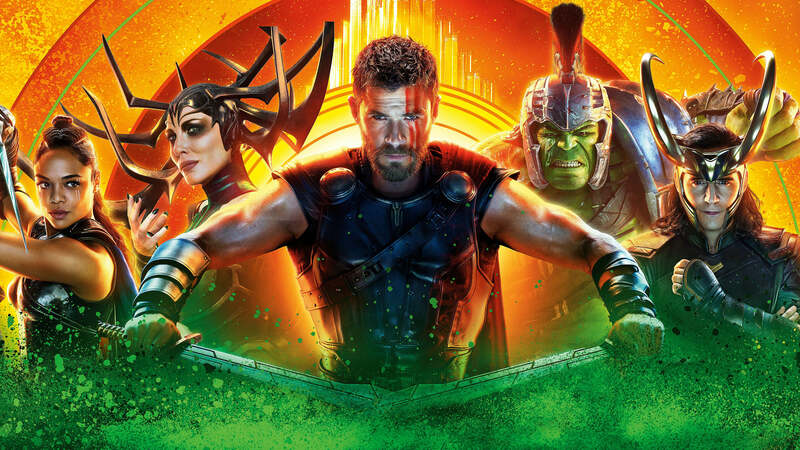 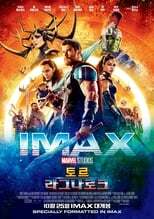 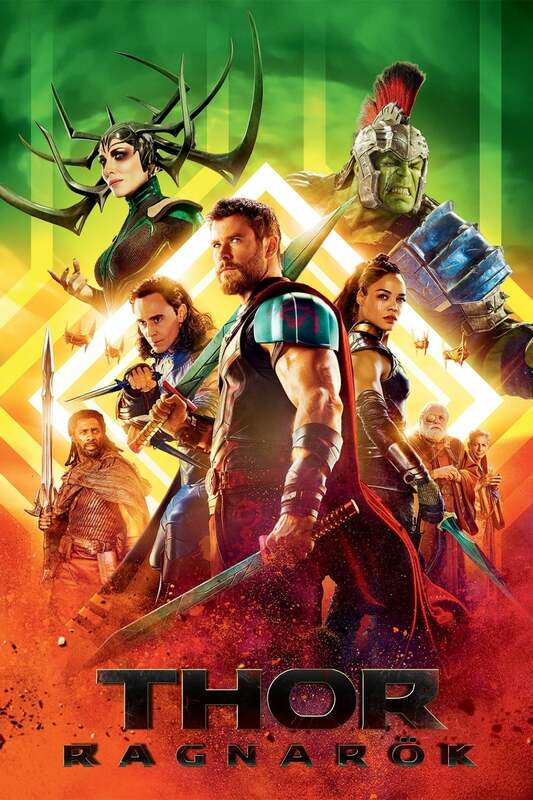 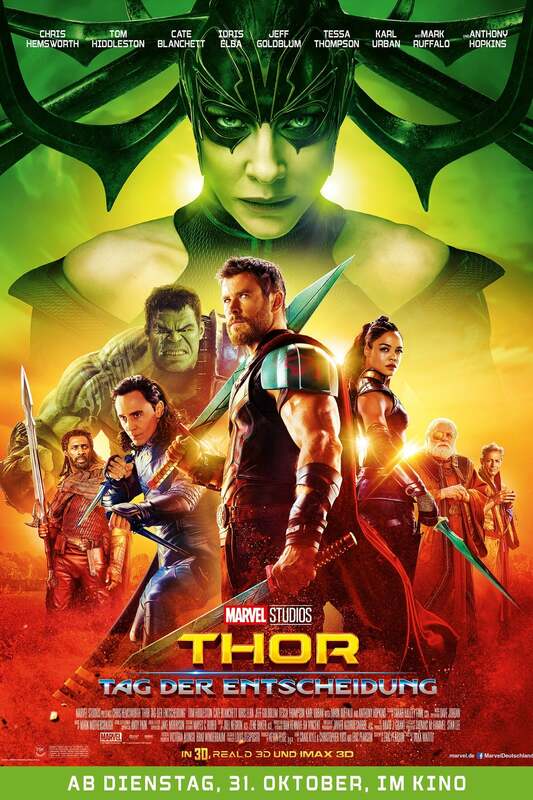 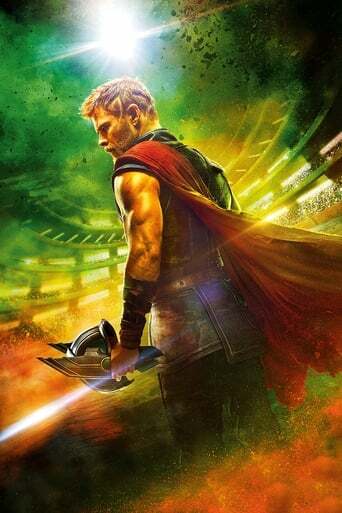 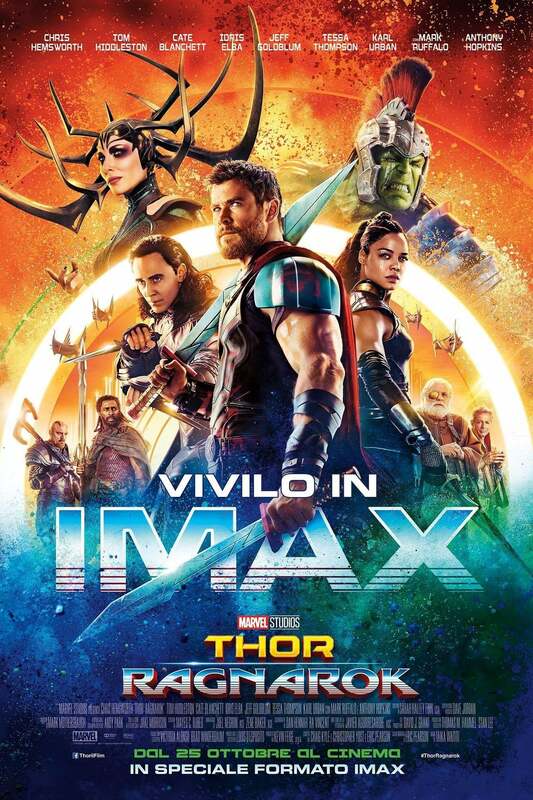 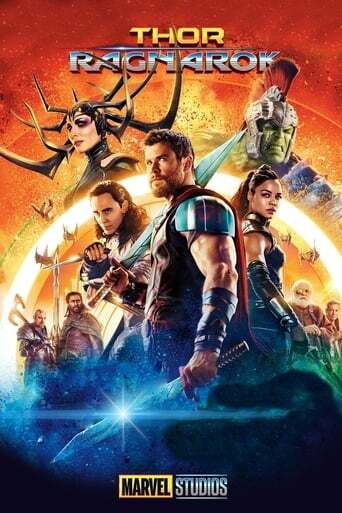 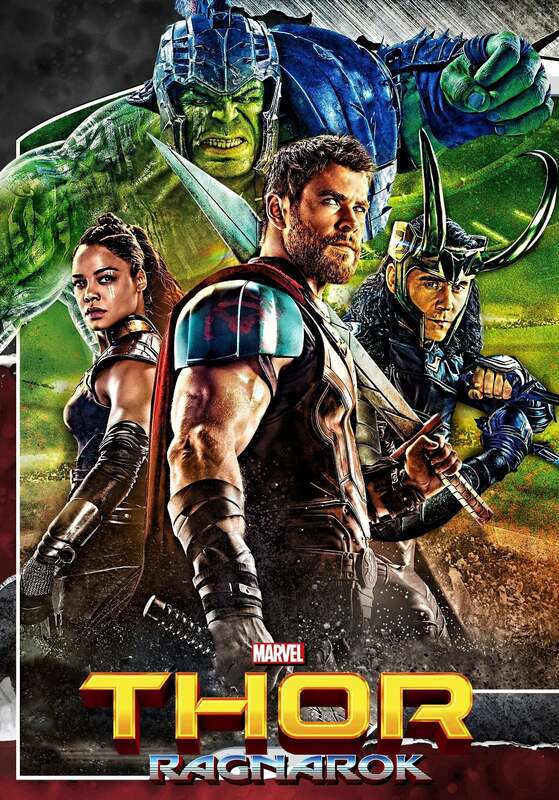 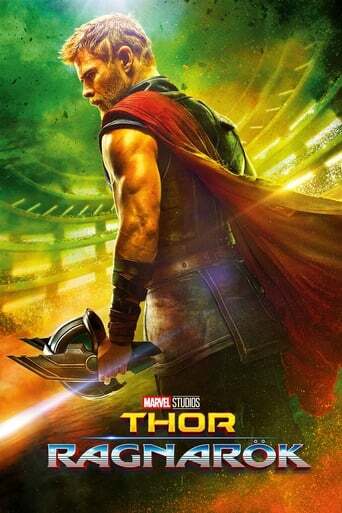 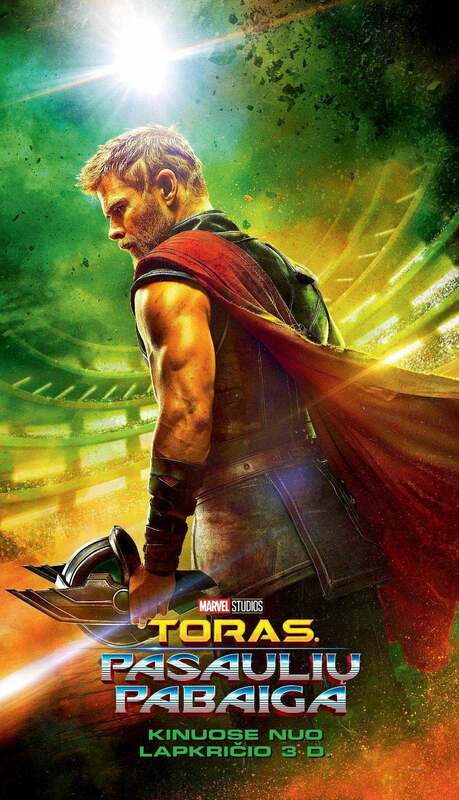 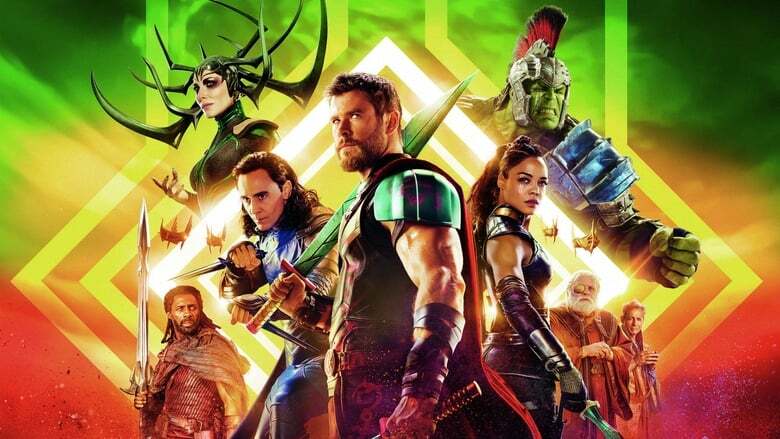 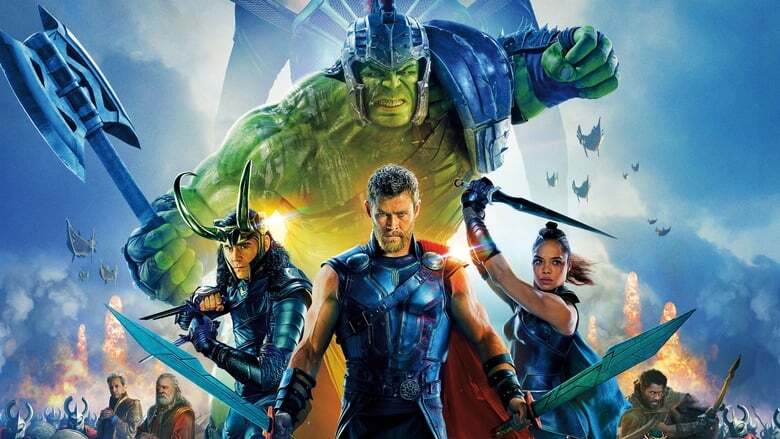 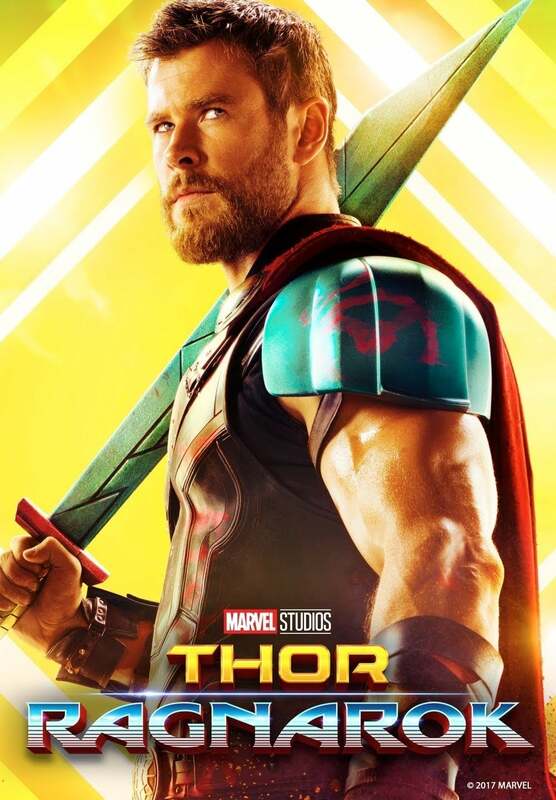 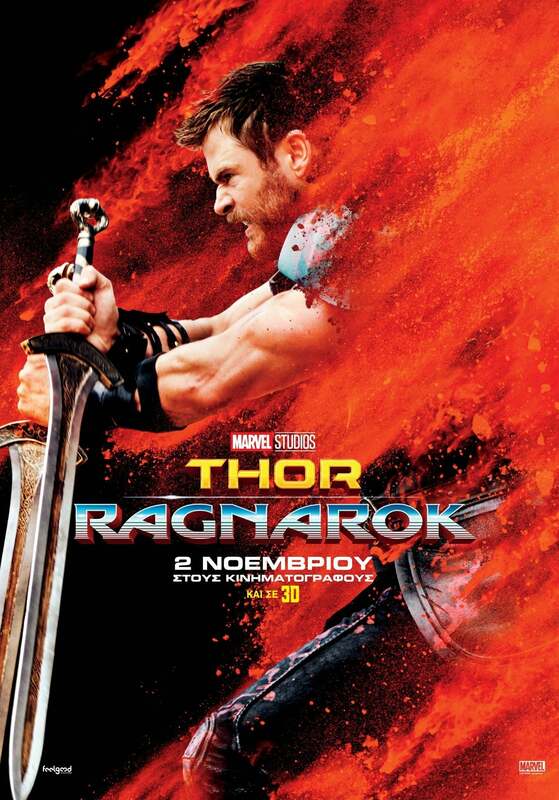 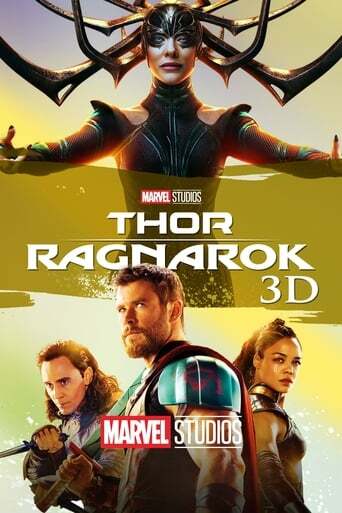 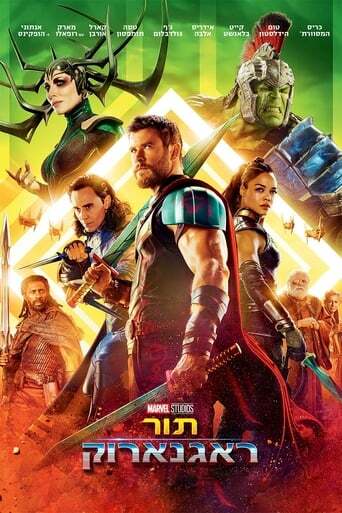 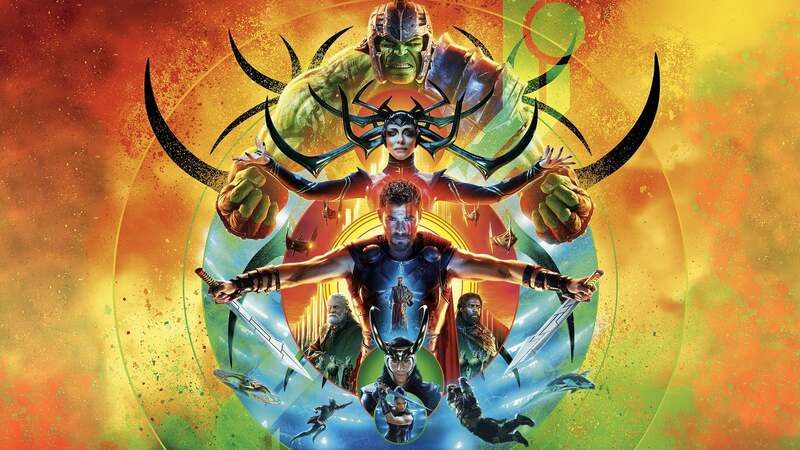 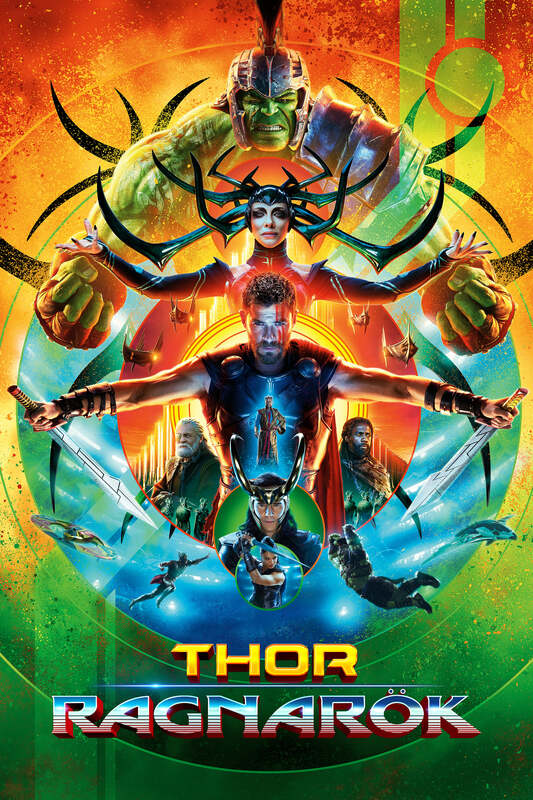 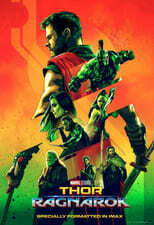 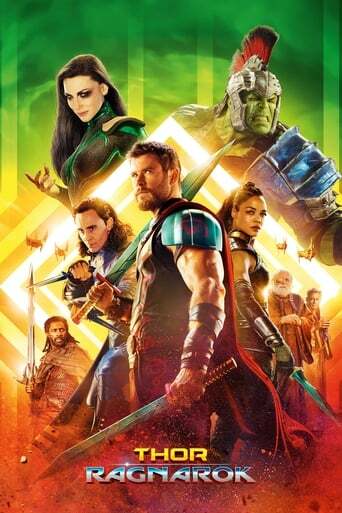 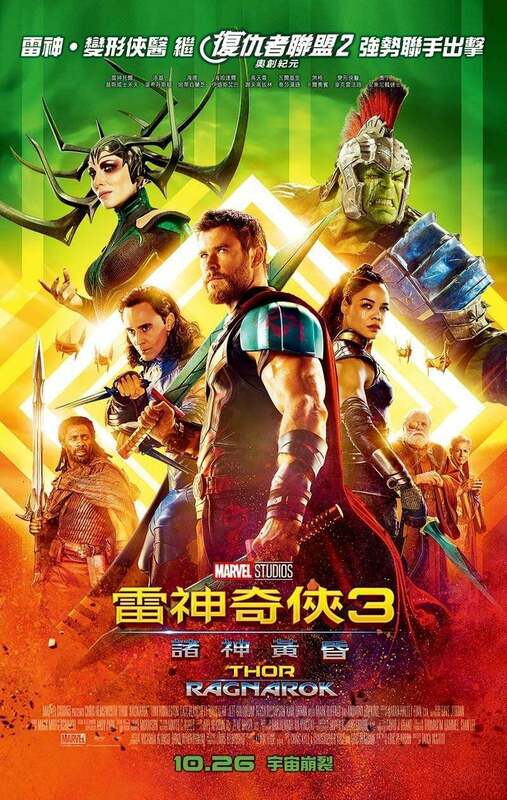 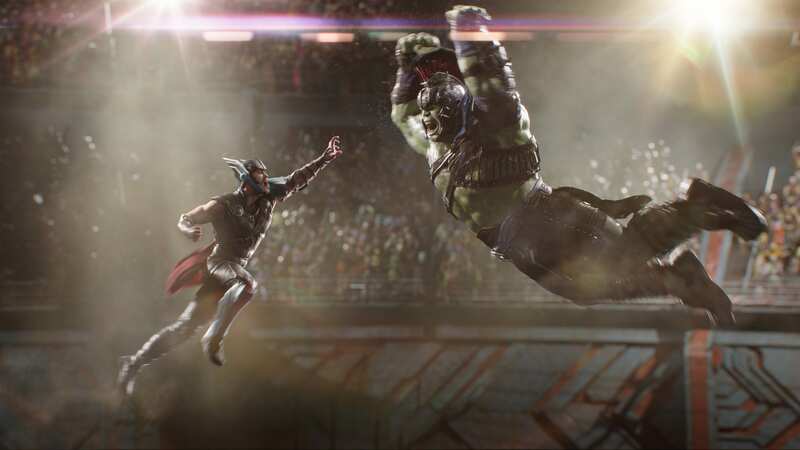 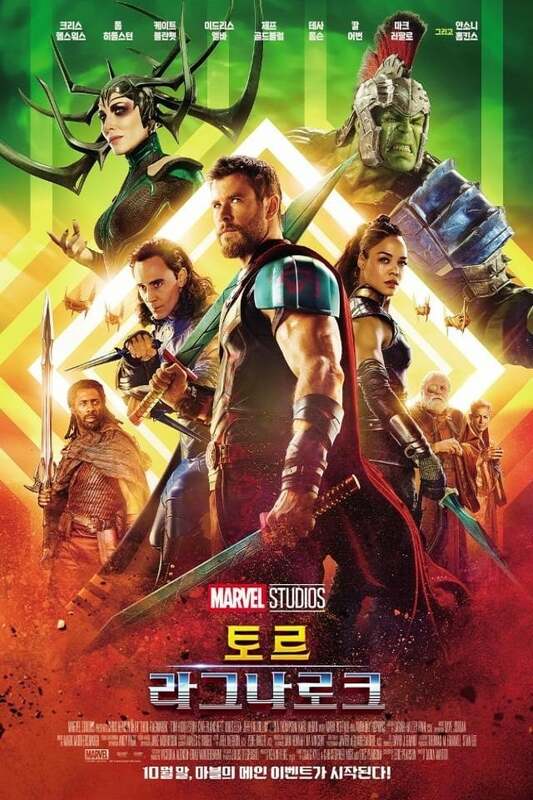 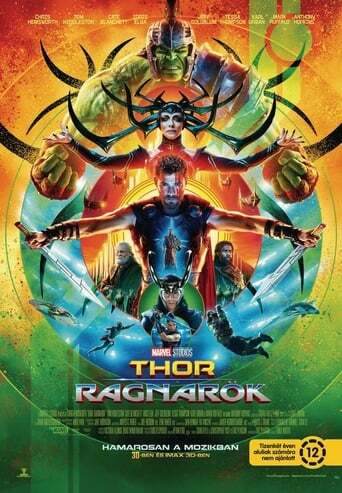 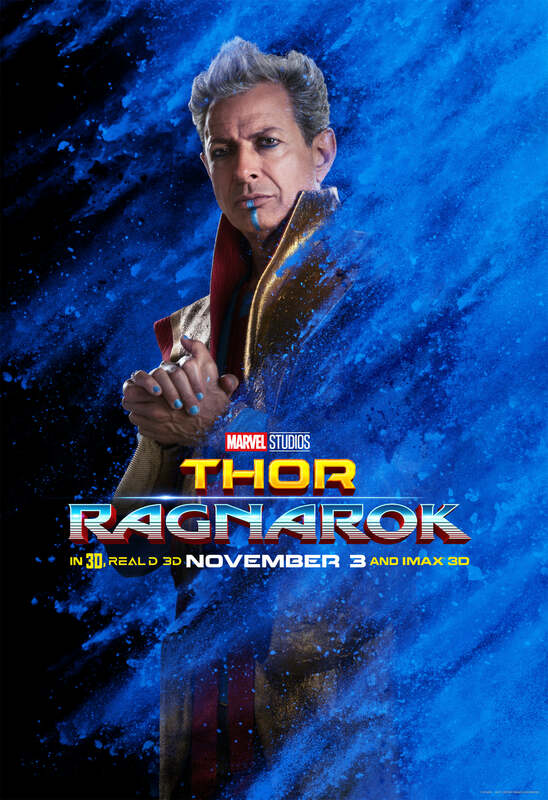 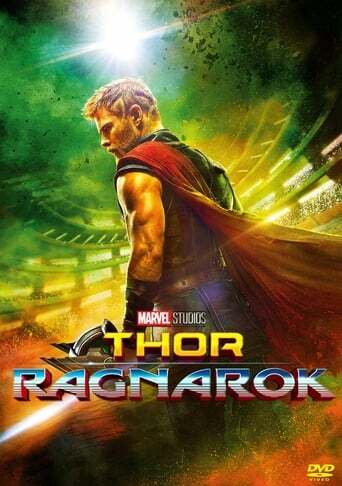 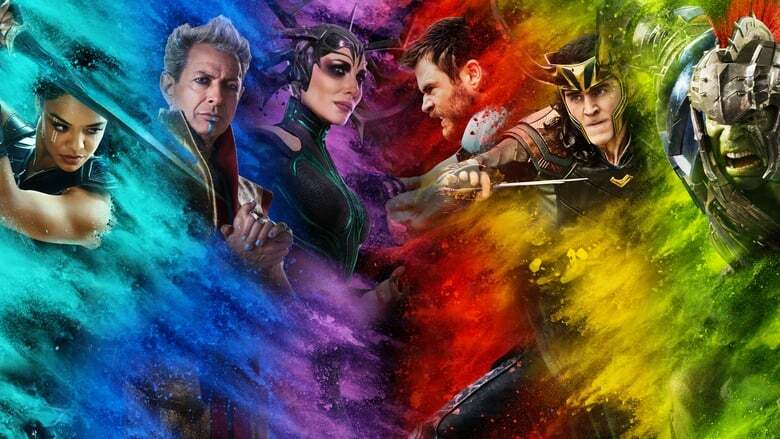 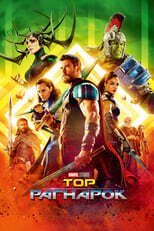 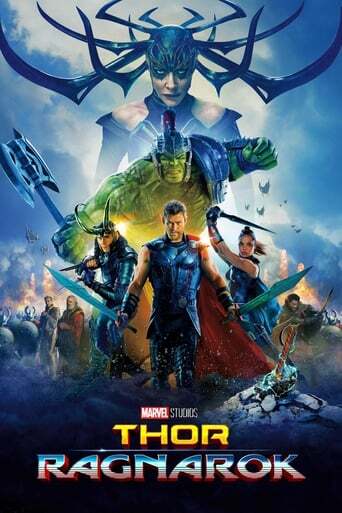 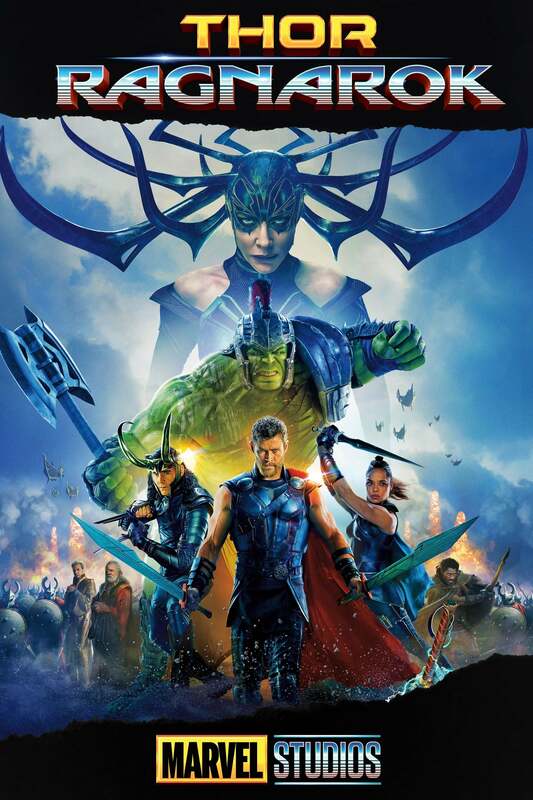 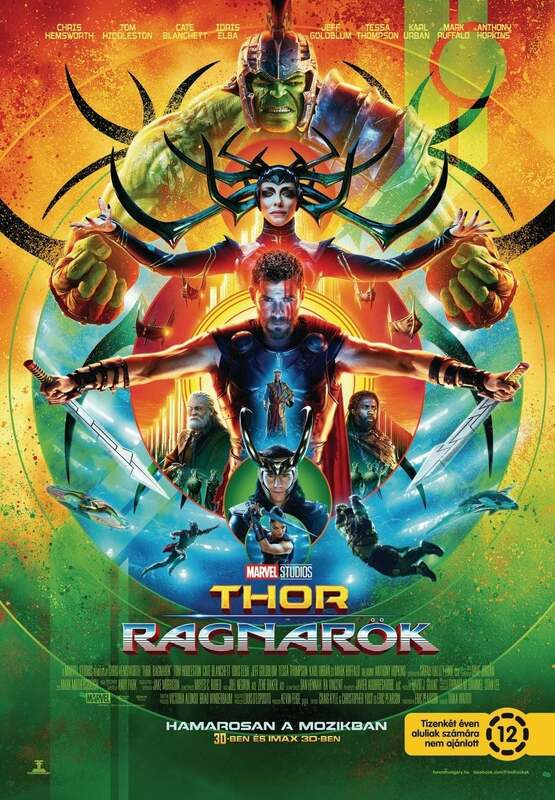 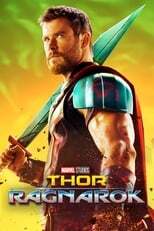 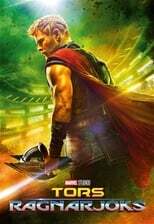 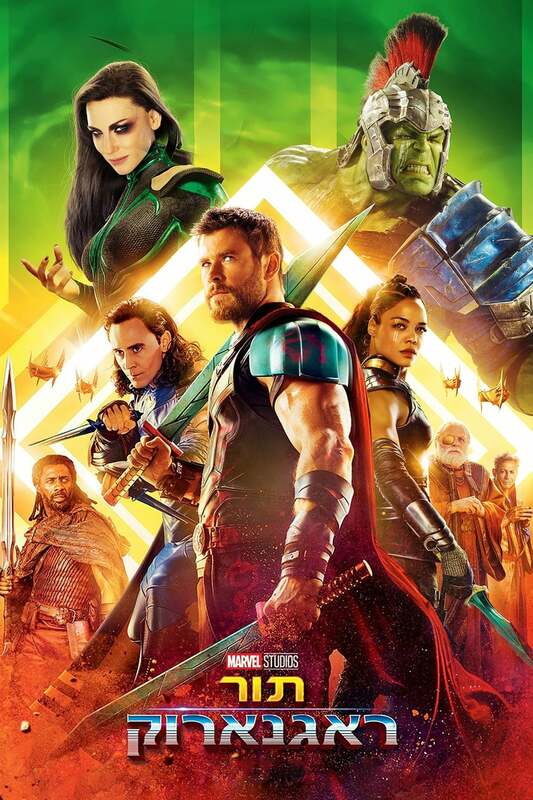 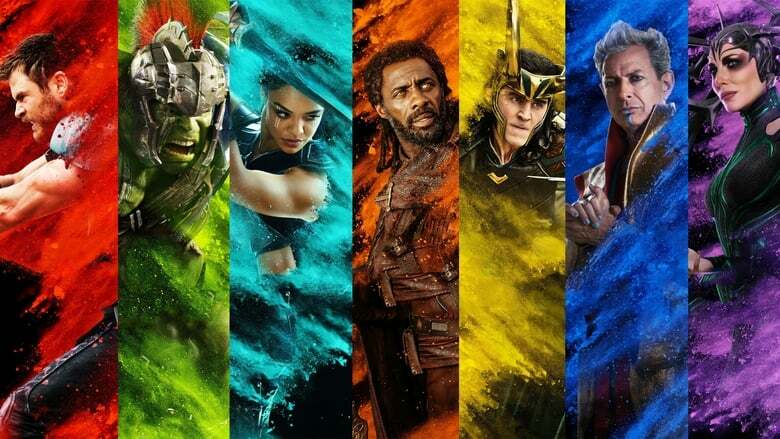 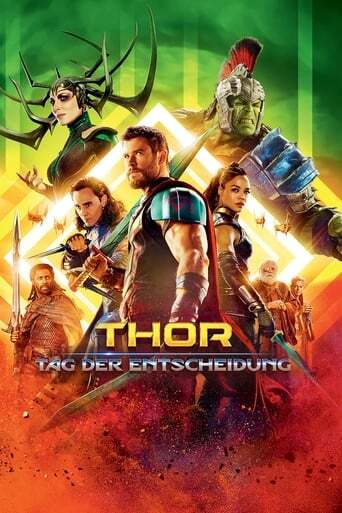 From minute one, Thor Ragnarok bursts onto the screen with a new found energy, style, Jeff Goldblum, beautiful use of colours and shot compositions, an amazing 80s inspired music score, and comedy that's actually funny. 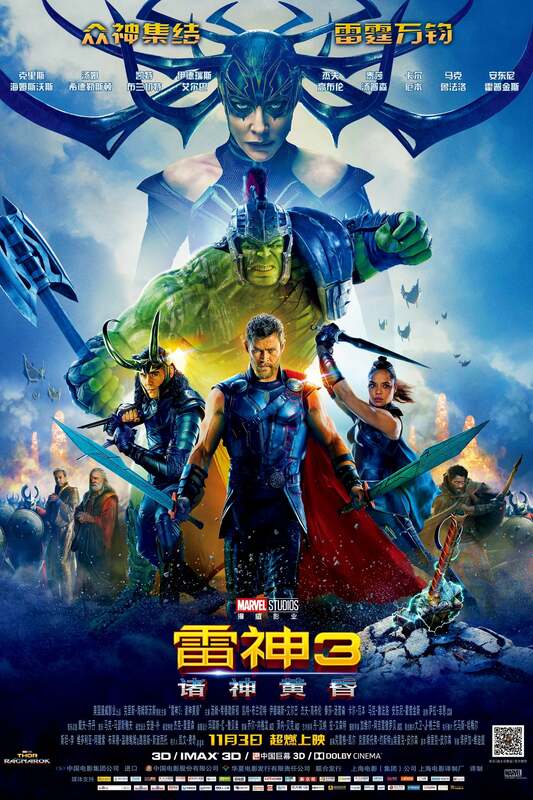 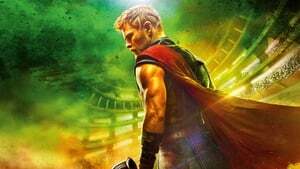 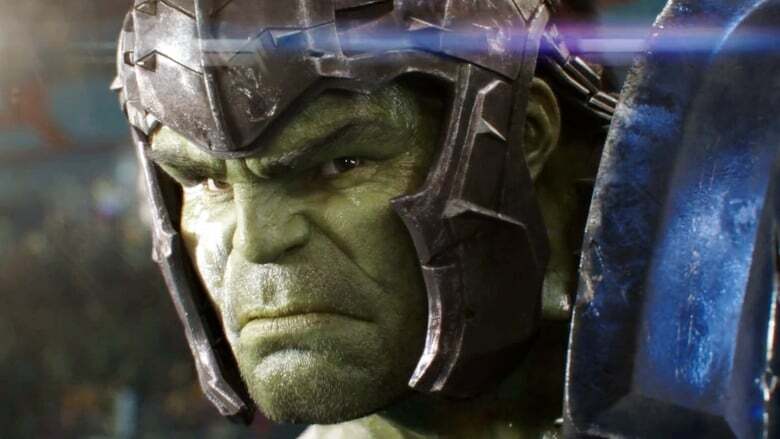 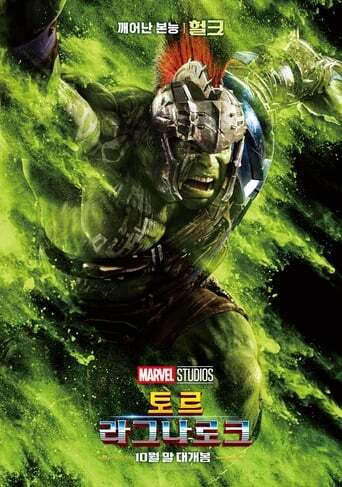 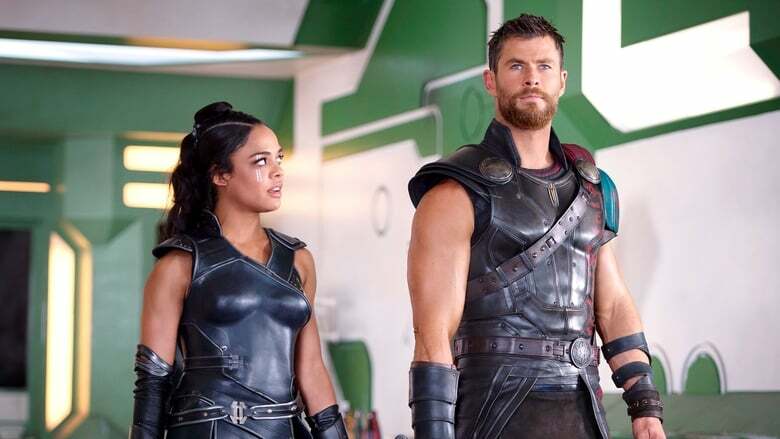 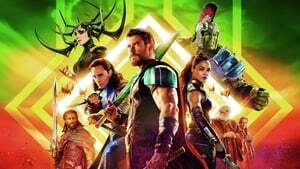 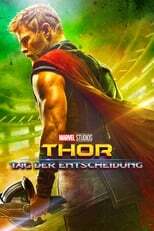 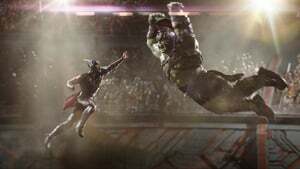 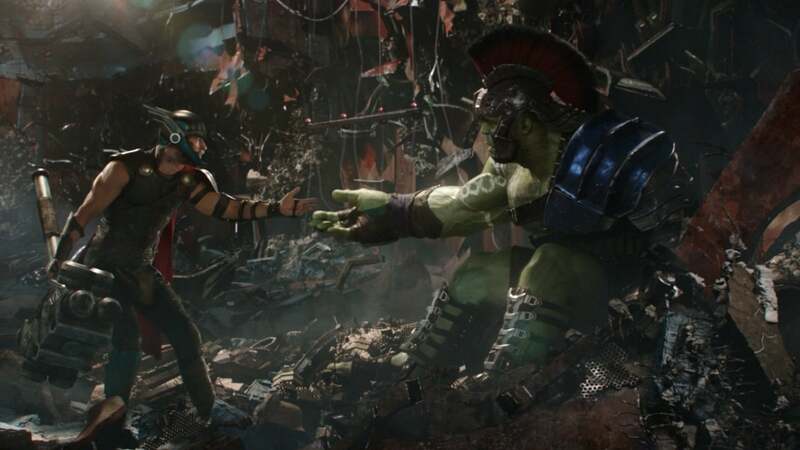 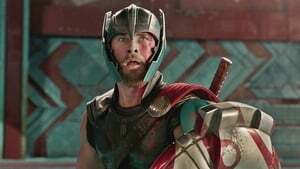 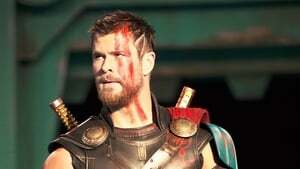 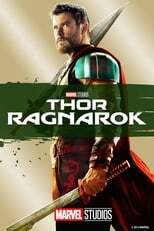 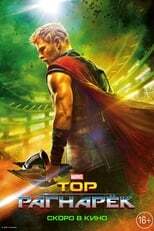 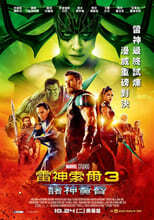 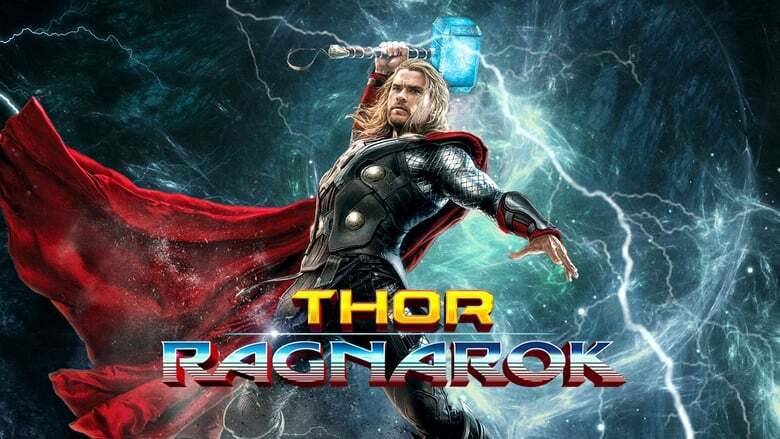 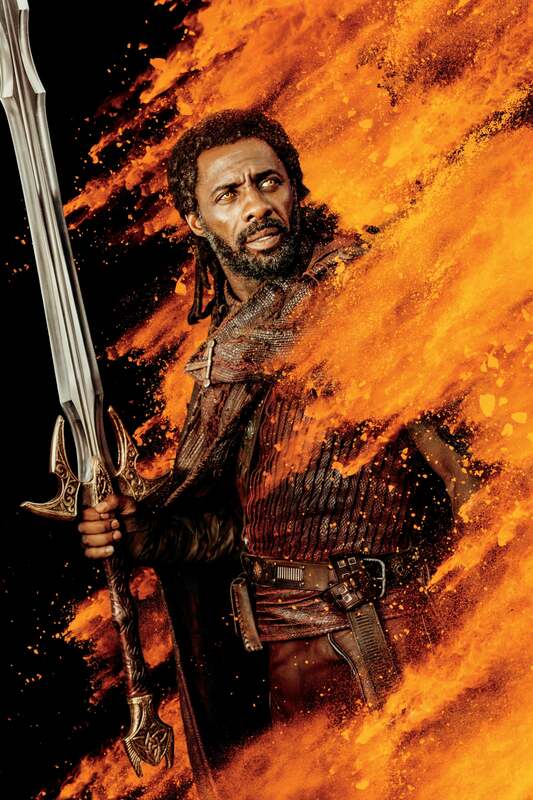 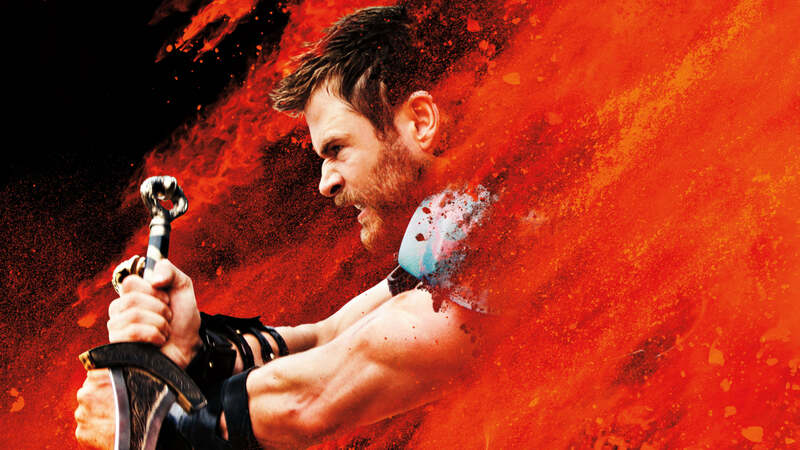 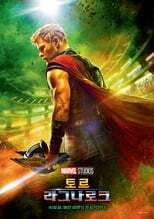 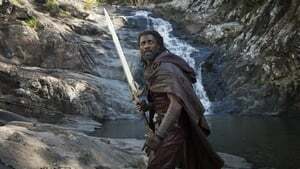 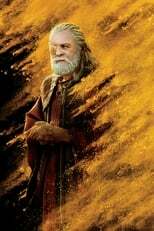 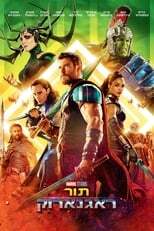 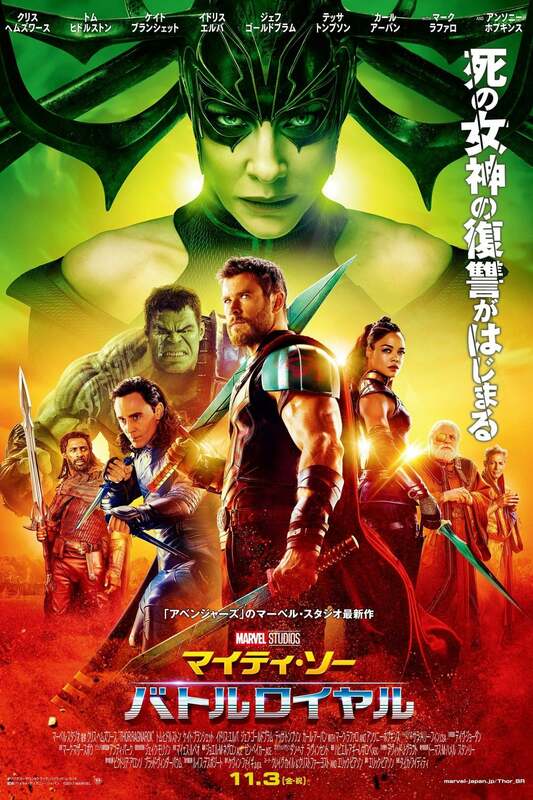 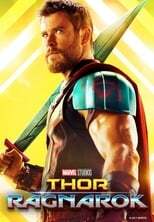 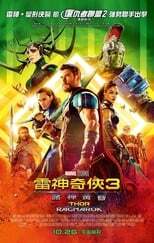 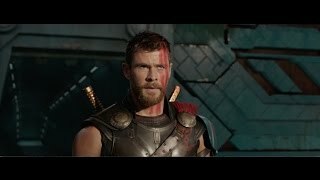 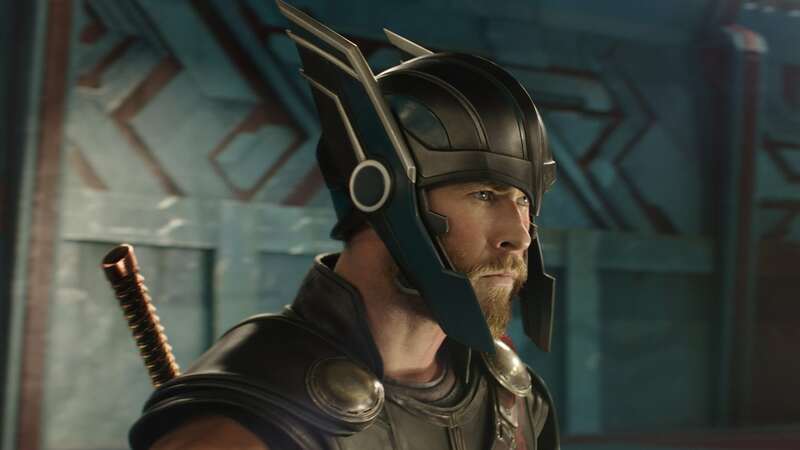 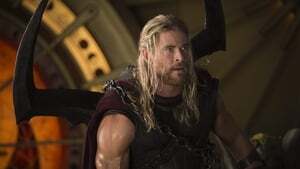 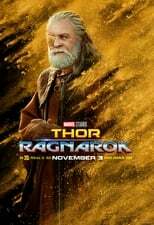 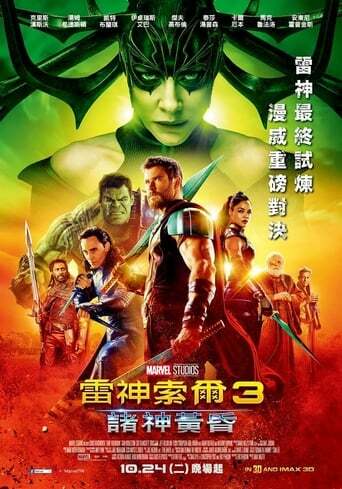 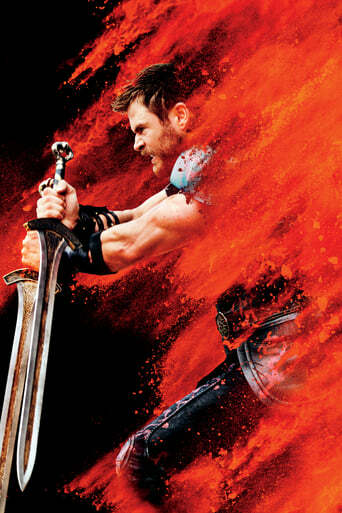 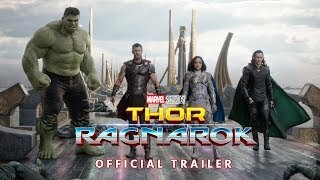 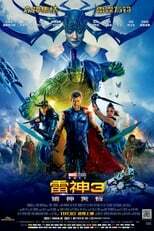 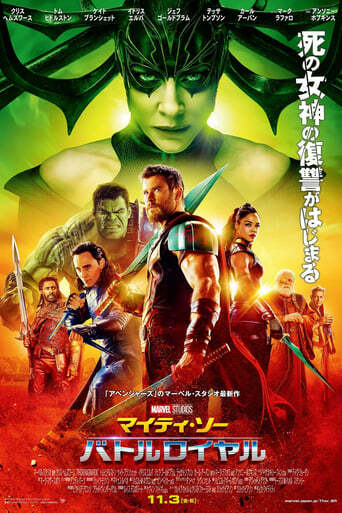 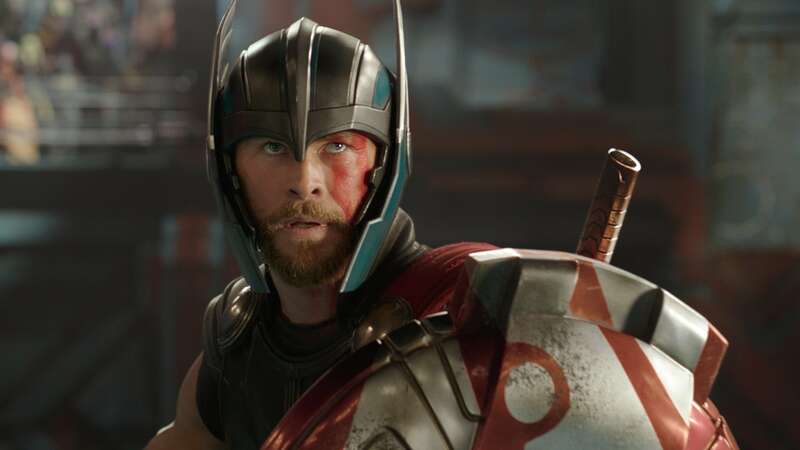 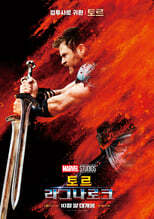 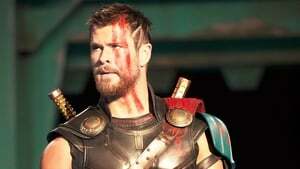 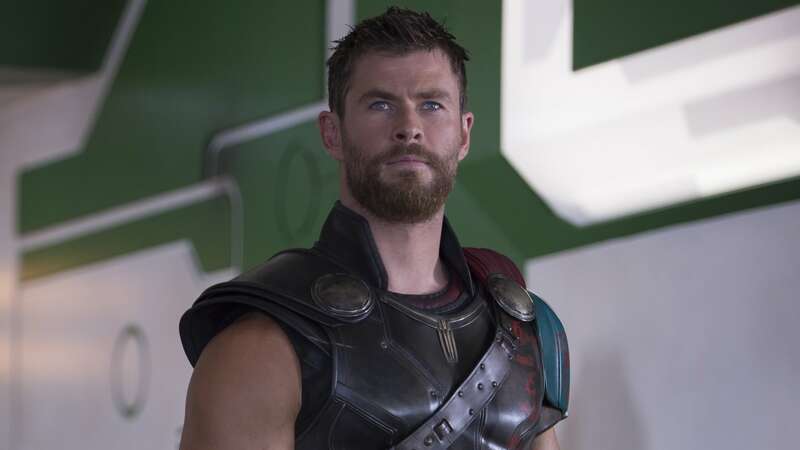 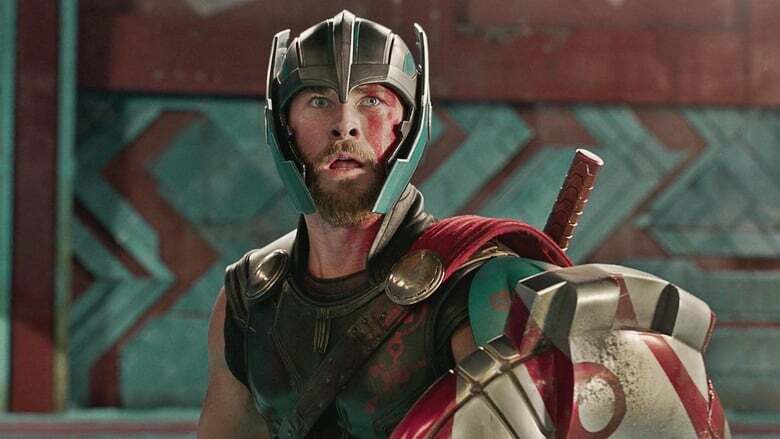 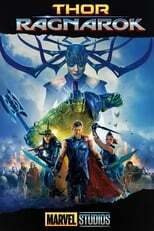 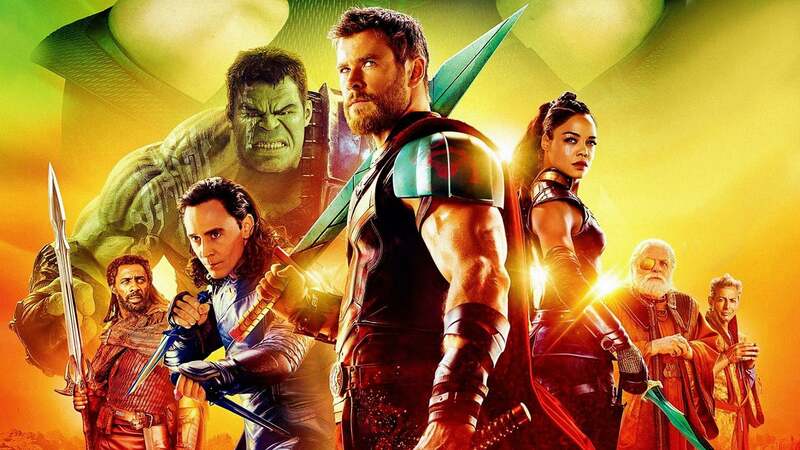 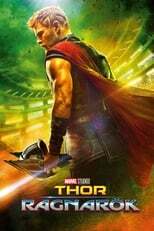 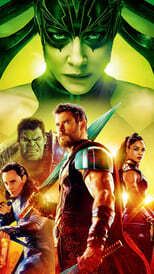 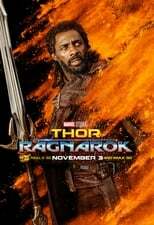 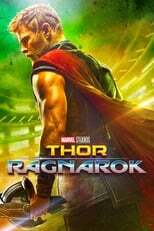 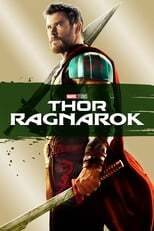 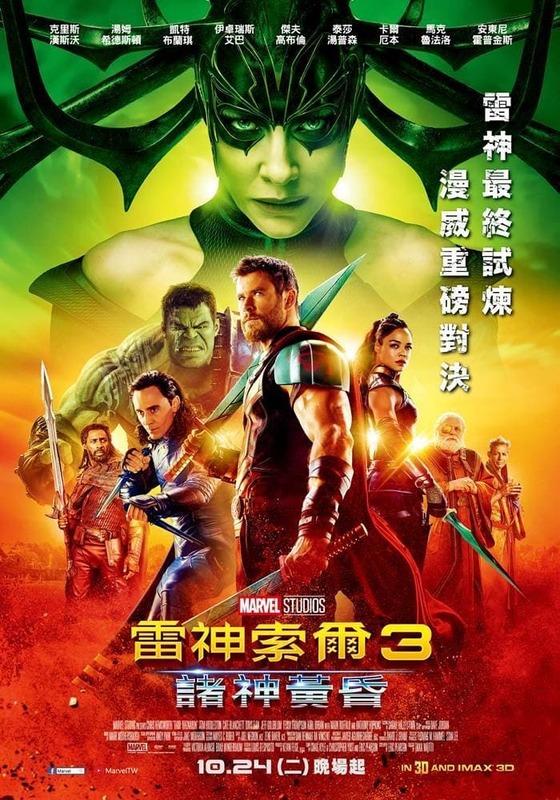 Somehow, Thor Ragnarok is both the darkest film in the entire MCU given that it deals with the destruction of an entire world, and the most lighthearted. 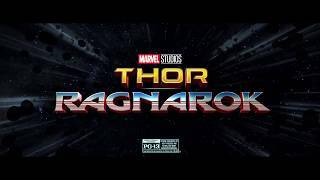 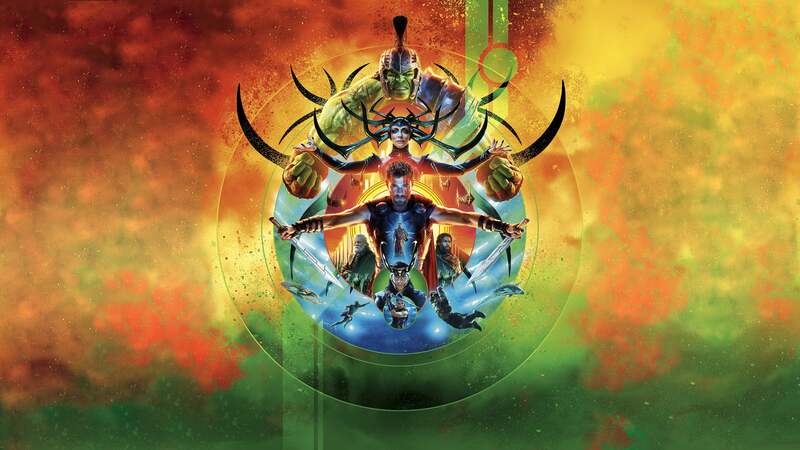 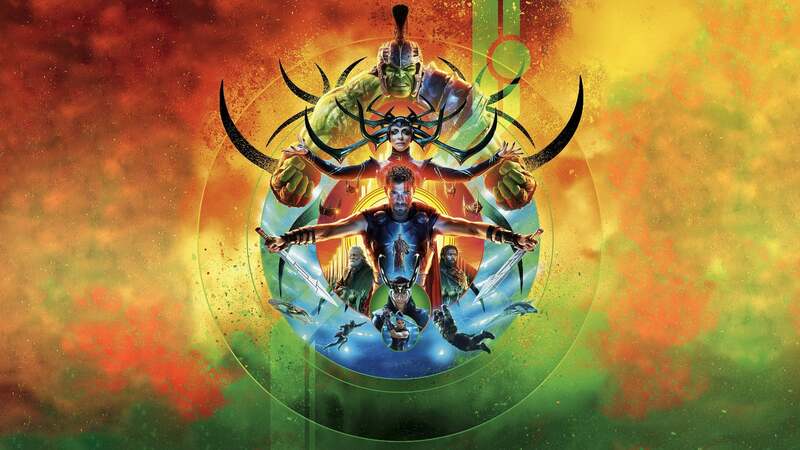 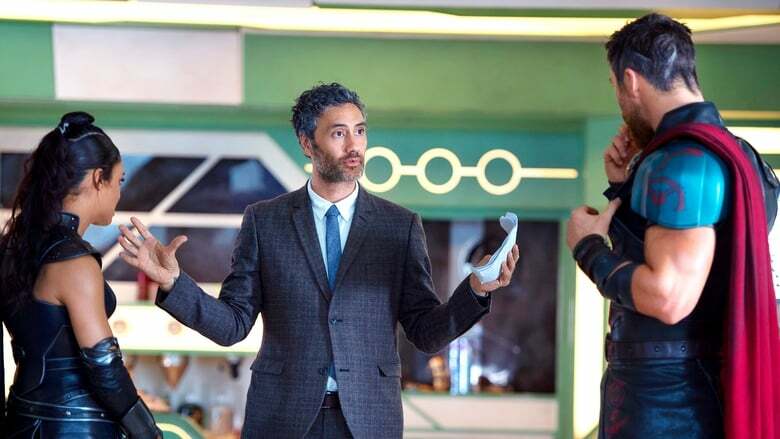 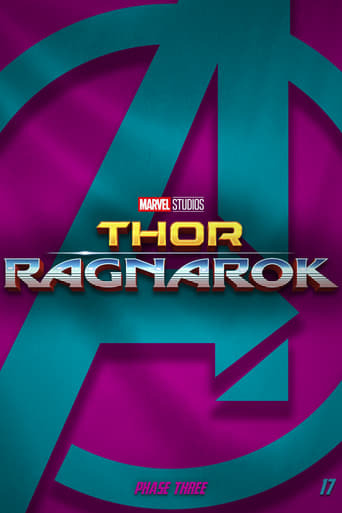 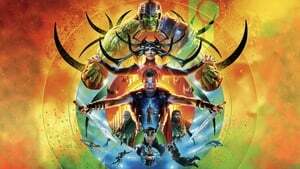 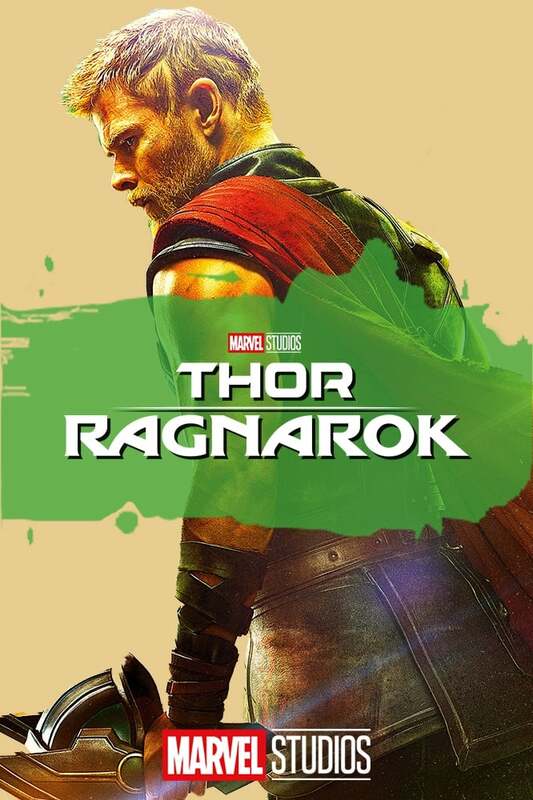 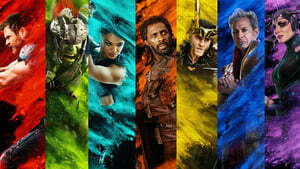 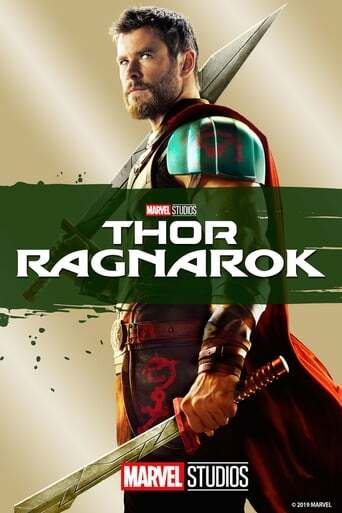 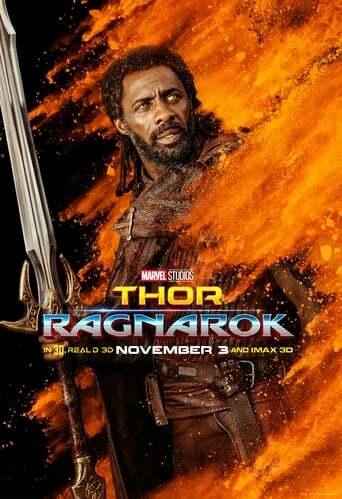 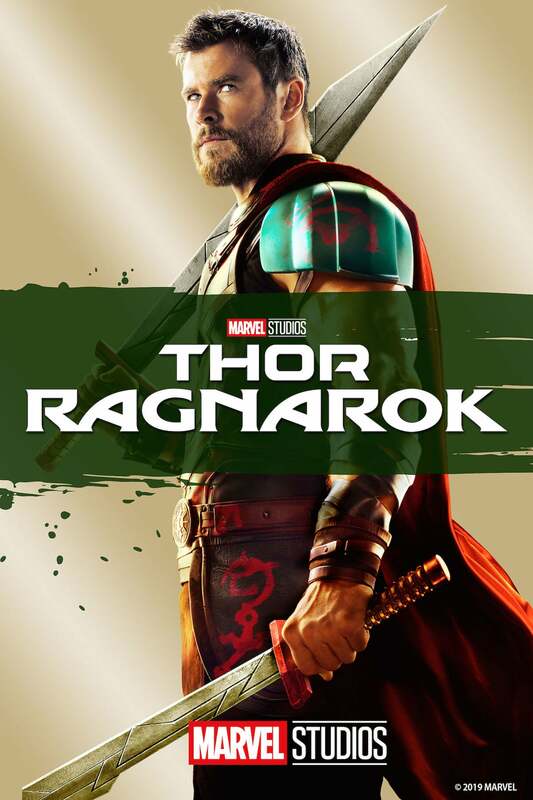 Thor Ragnarok is very much a Taika Waititi film that uses Marvel lore and characters. 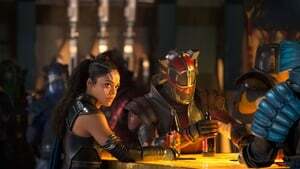 It has many shocking twists, turns, witty comedy, and pleasant re-introductions (and introductions) to some of the MCU's best characters that I can't wait to see more of. 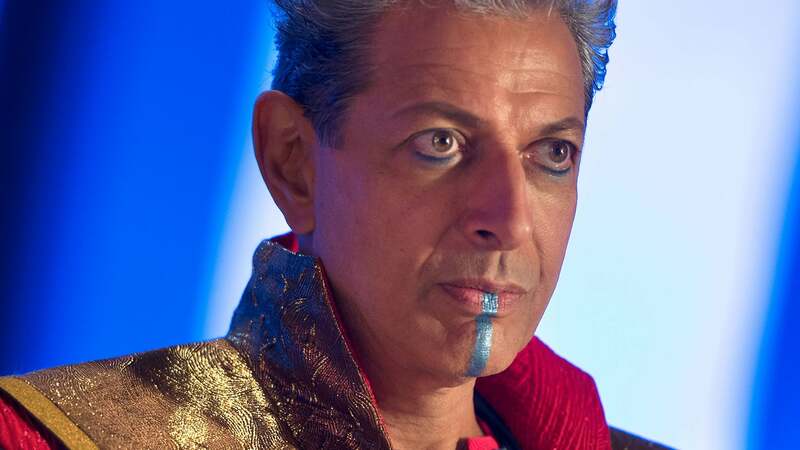 Oh, and did I mention this movie has Jeff Goldblum? !